The Goals of COPE are represented through our six corporate, strategic objectives. Support and advise : Through working Governments and services to support the implementation of policy and practice in perinatal mental health. Support best practice: Through the development and dissemination of the 2017 National Perinatal Guideline and free, the accredited COPE online training and resources for health professionals to ensure the implementation of best practice. 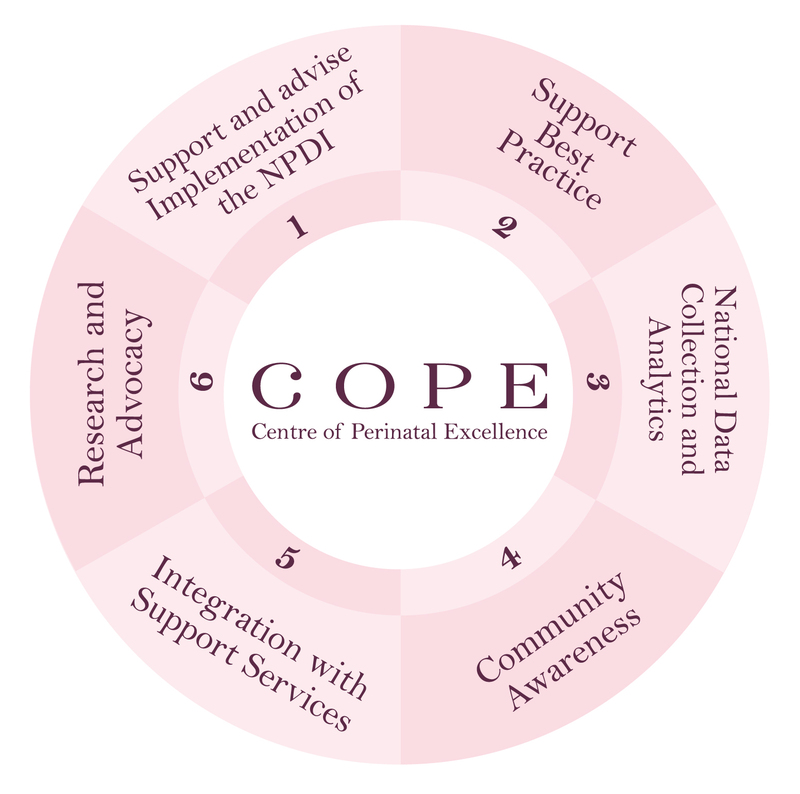 National data analytics: Through the development of innovative screening and data management systems, COPE is working to facilitate national data collection, to inform the outcomes of screening and advise policy and service delivery. Community awareness: COPE works with others to raise awareness of emotional and mental health through innovative campaigns and strategies. Importantly we also address the observed high rates of stigma that currently prevents disclosure and early help-seeking. Integration with support services: COPE is committed to working with support services at a local, state or national level to educate, identify and respond to support women and families in need. Research and advocacy: Through working with world-leading experts, COPE will support the much-needed research required to build knowledge and bridge the gaps that currently exist in the provision of evidence-based screening and treatment practices. Further detail on our goals, objectives and strategic direction can be found in our Prospectus.